I am in Ethiopia, for the launch of the second phase of the Sustainable Land Management Programme, which lives under the name of SLMP2. The programme is part of the Africa-wide TerrAfrica programme which I mentioned in my earlier blog story, which is supported by the World Bank through its own loan arrangements and a Norwegian trust fund, together with several other donors. 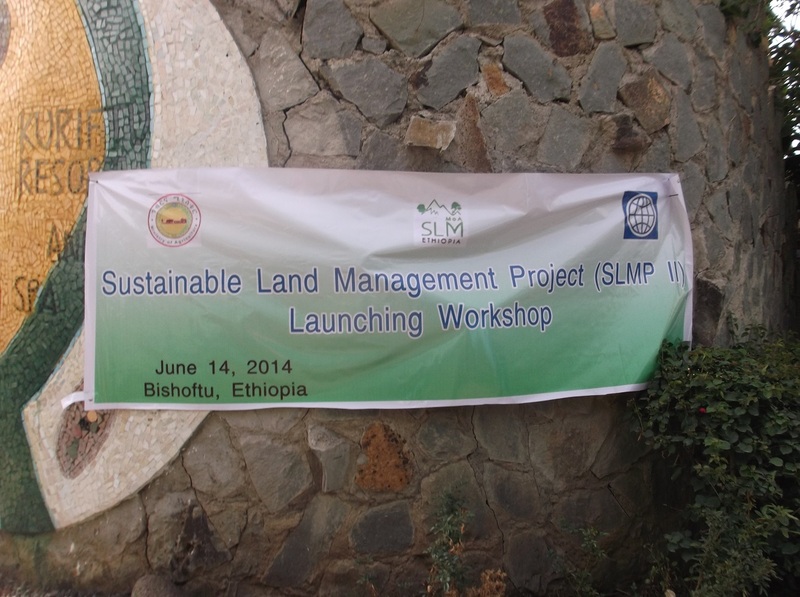 The SLMP2 project is implemented by the Ministry of Agriculture of the Federal Democratic Republic of Ethiopia. The State Minister for Agriculture, HE Sileshi Getahun is currently the Chair of the INBAR Council, and he is very supportive of INBAR playing a role in SLMP2. The launch started with a welcome word by the Ministry and a series of key-note speeches from the World Bank, Norway, GIZ and INBAR, followed by the opening speech of Minister Sileshi. The World Bank stressed the fact that land degradation and climate change are the major challenges for agricultural development in Ethiopia. Norway explained that they have committed to help Ethiopia in its climate response strategy, and therefore they are very happy to support SLMP2. 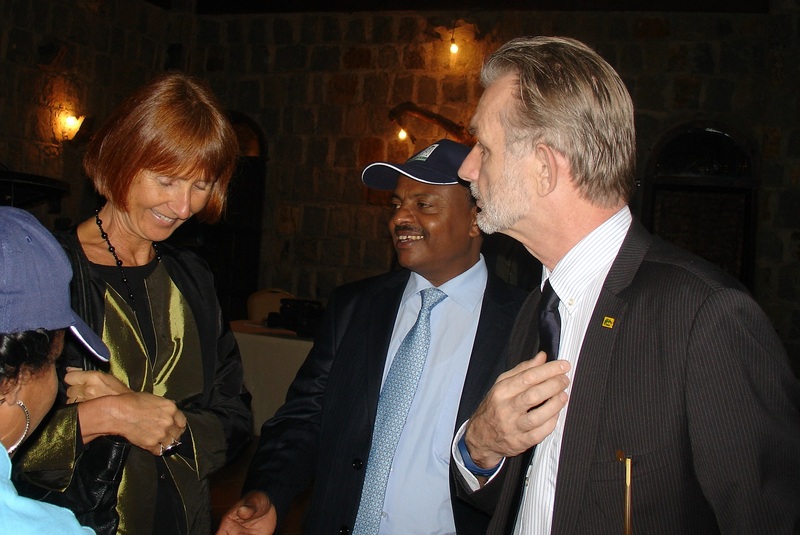 The representative from GIZ explained that the German government has supported Ethiopia for many years, and both the German development bank KfW and the technical assistance agency GIZ are involved in SLMP2. I presented the case for bamboo as an alternative option for land restoration. Six out of the nine states in Ethiopia have native bamboo, and the total bamboo cover in Ethiopia is approximately 1million Hectares. I explained that INBAR is keen to support SLMP2 to show how to use bamboo for land management, and also to work with Small and Medium sized Enterprises to promote bamboo business. As is so often the case, people were surprised to learn about the many opportunities bamboo could provide, and some did not realise that Ethiopia is already rich in bamboo. 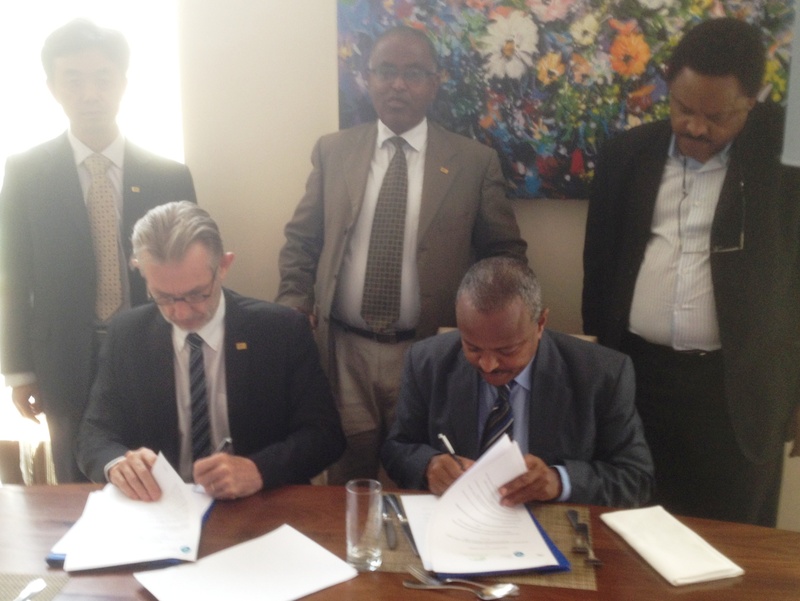 It is therefore very opportune that INBAR is one of the implementing partners of SLMP2, and this is something that was cemented the day before, when Minister Sileshi and I signed a Memorandum of Understanding regarding our involvement in the project. The agreement between the ministry and INBAR defines INBAR as the implementing agency for a component of SLMP2 that deals with bamboo. Currently, the proposal is to work in 12 field sites, where we will promote bamboo planting, help to establish nurseries and provide training in planting, maintaining and harvesting bamboo. We will also work with local business representative to help develop small scale industrial bamboo activities, we will work on bamboo carbon finance and we will promote charcoal bamboo as an alternative household energy source. 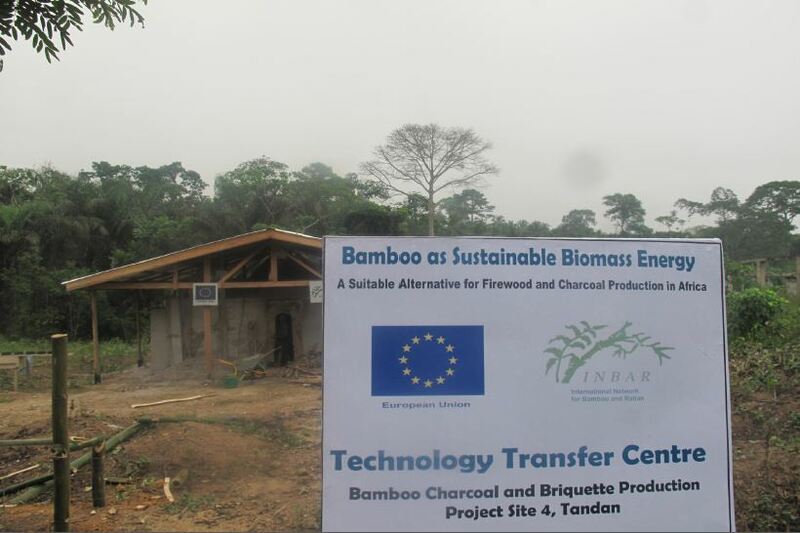 The last point is particulalrly relevant, as INBAR has spent the last few years on testing the feasibility and economic viability of making bamboo charcoal for local use in Ethiopia and Ghana, through an EU-funded “bamboo as sustainable biomass energy” project. After my presentation, several people came to see me to ask if INBAR could expand the scope of its intervention and include more field sites. This is something we will discuss with the Ministry of Agriculture in the coming months, but my priority is to agree on the financial nitty-gritty and start the project.